brown rice tips? ">brown rice tips? What to do with fresh hot cherry peppers? ">What to do with fresh hot cherry peppers? What's for Family Dinner? ">What's for Family Dinner? Got any good bread machine recipes? 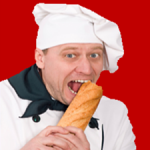 ">Got any good bread machine recipes?